Our Tiny Tumbler class follows the Acrobatique Program in which students aged between 3 and 5 will develop the strong foundational skills, knowledge base, and appreciation of AcroDance that will be of benefit to them no matter what their future path may be – all while done in a safe, challenging, and very fun environment! At the same time, children will learn how to be in a class, develop their focus and listening skills, and learn co-operative skills all whilst making new friends. This class is a NC class, which means it does not participate in the annual concert. It is based on a term attendance and doe snot run thru the school holidays. Our KindyAcro class follows the Acrobatique curriculum which builds on the same foundational skills, knowledge base and appreciation for AcroDance that our Tiny Tumblers receive as well as the developmental steps that follow into our AcroDance program. Acro Dance is a stunningly beautiful art form. It is also highly athletic, very difficult, and can be unsafe if not taught and executed safely. It is a genre of dance which seamlessly fuses elements of lyrical gymnastics tricks, balancing, tumbling, and jazz. Students learn Acrobatic tricks such as handstands, cartwheels, chest stands, elbow stands, walkovers, side and front aerials, and tumbling lines. For stronger dancers, superior technique, and incredible results, we offer the Acrobatique Curriculum. The Gold Standard AcroDance education program is a strong, effective and innovative curriculum that provides ongoing education opportunities and support for our MJDS Qualified Acro teachers to ensure we’re providing students with the latest safe, efficient and progressive teaching methods. – Open Cartwheel R & L side, Shoulder Roll R & L Side, Bridge Recover / Kickover, Handstand into Bridge, Chest Stand, and Roll-over Bridge Prep. Ballet is based on techniques that have been developed over centuries. It uses music and dance to tell stories. Ballet is a strengthening, disciplined and stylised dance style that includes graceful movements such as pointed feet, jumping, stretching, leaping and turning. Our Petite Feet, Junior Jivers and Tween programs are designed with a child’s mind at heart, their eagerness to learn and enabling them to flourish within each class. We’ve created set classes that consist of 2 different genres, Jazz and Ballet, that compliment one another whilst still allowing students variety within the one lesson and exposure to a diverse range of dance steps, styles, technique and music. As students graduate from one age group to the next, they will do so with confidence and ease as the enhancements of our class qualities, such as technique and artistry, flows seamlessly throughout the groups. As ballet is the core of all dancing, we’re offering our Mighty students this class stand alone to ensure they’re focusing the majority of the class on barre and centre techniques and exercises to further enhance their overall technique, flexibility, strength, posture and poise. Offering 2 routines to be learnt and refined throughout the year, this class is an absolute must if students wish to pursue their passion for dance as a career or wish to thrive on the competition floors! Believe it or not there is a difference between Cheerleading and Pom! Cheerleading consists of stunts, tumbling skills, chants and a small dance section. Pom has the technical dance skills and is a dance based routine using the cheerleading clean and strong arm motions and jumps with the use of poms. Our Petite Feet, Junior Jiver and Tween programs are designed with a child’s mind at heart, their eagerness to learn and enabling them to flourish within each class. We’ve created set classes that consist of 2 different genres that compliment one another, CheerDance and Hip Hop, whilst still allowing students variety within the one lesson and exposure to a diverse range of dance steps, styles, technique and music. We’ve created a class that has both, with a small variation on the cheerleading aspect due to the tumbling and stunt skills set required. Students will still learn the foundations of both Cheer and Pom and will be able to learn a routine of each. Much like our comp teams this class is full of fun, however is very physically demanding on the body and requires full attendance and commitment, strength and confidence to ensure everyone in the class is learning and progressing together and that students and skills are able to be executed each and every week. But don’t let this intimidate you, it’s also very rewarding, full of new things to learn and promotes great team building! We are so excited to once again be able to offer this to our students in 2018 and believe it will strengthen our dance family and give students more confidence, opportunity, increased strength and skills and most importantly, teamwork! The competition teams are open to all students no matter what your skill level is, and currently have a team for those aged between 5 and 11. Contemporary is a blend of ballet and modern jazz dance. It builds a strong centre and combines precision leg work with fluidity of the torso. Contemporary dance encourages self expression, natural movement and personal interpretation. Our Preteen and Inter programs have been created as set classes that consist of 2 different genres, Contemporary and Hip Hop that compliment one another whilst still allowing students variety within the one lesson and exposure to a diverse range of dance steps, styles, technique and music. 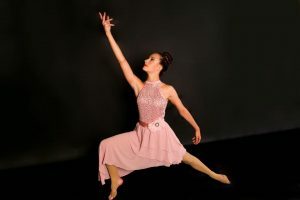 The 90 minute lessons allow students to really grasp the correct terminology, technique and skills required from each genre and prepares the dancer for whatever path they may choose. They’ll have a solid core foundation to pursue their dance career as a performer or teacher, as well as learn life skills that apply to every aspect of life such as time management, respect, hard work, commitment, confidence and social skills, and a promotion for an active and healthy lifestyle. Hip hop is a dance style that is free, funky, fresh expression of movement as seen in film clips of Rhianna, Usher, Justin Timberlake and Beyonce. Our Petite Feet, Junior Jiver and Tween programs are designed with a child’s mind at heart, their eagerness to learn and enabling them to flourish within each class. 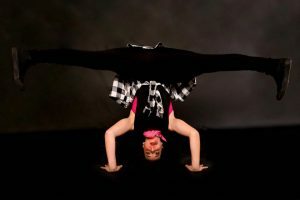 We’ve created set classes that consist of 2 different genres, Hip Hop and CheerDance, that compliment one another whilst still allowing students variety within the one lesson and exposure to a diverse range of dance steps, styles, technique and music. Our Preteen and Inter programs have been created as set classes that consist of 2 different genres, Hip Hop and Contemporary, that compliment one another whilst still allowing students variety within the one lesson and exposure to a diverse range of dance steps, styles, technique and music. The 90 minute lessons allow students to really grasp the correct terminology, technique and skills required from each genre and prepares the dancer for whatever path they may choose. They’ll have a solid core foundation to pursue their dance career as a performer or teacher, as well as learn life skills that apply to every aspect of life such as time management, respect, hard work, commitment, confidence and social skills, and a promotion for an active and healthy lifestyle. 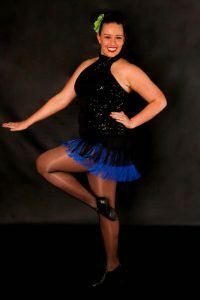 Jazz is an energetic, fun and entertaining style of dance consisting of unique moves, fancy footwork, big leaps, high kicks and fast turns. In this style, students are encouraged to add their own personality to make each step unique and fun. 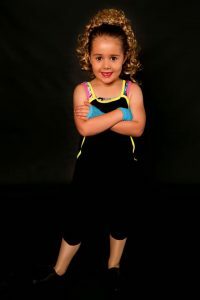 Like all of our styles, each class is started with warm-ups, stretching and basic Jazz technique both in the centre and travelling across the floor, as well as learning the fun stuff like cartwheels and splits. There are many different types of jazz, all of which can be seen on TV show ‘So You Think You Can Dance’. Our jazz is danced to a variety of music, from fun old songs to all the new music. They’ll leap, they’ll twirl, they’ll laugh, they’ll play! Our Tiny Twirlers classes are 30 minutes of engaging lessons where we encourage students to use their imagination and playfulness to learn the fundamentals of dance and movement, with our main focus on FUN! This class is also great for our littlies to learn to be in a class environment, develop their focus and listening skills, learn to take turns and as in any class at MJDS, make new friends! Our Petite Feet, Junior Jiver and Tween programs are designed with a child’s mind at heart, their eagerness to learn and enabling them to flourish within each class. We’ve created set classes that consist of 2 different genres, Jazz and Ballet, that compliment one another whilst still allowing students variety within the one lesson and exposure to a diverse range of dance steps, styles, technique and music. 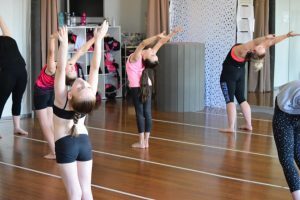 Our Preteen and Inter programs have been created as set classes that consist of 2 different genres, Jazz and Lyrical, that compliment one another whilst still allowing students variety within the one lesson and exposure to a diverse range of dance steps, styles, technique and music. 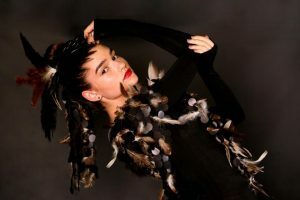 The 90 minute lessons allow students to really grasp the correct terminology, technique and skills required from each genre and prepares the dancer for whatever path they may choose. They’ll have a solid core foundation to pursue their dance career as a performer or teacher, as well as learn life skills that apply to every aspect of life such as time management, respect, hard work, commitment, confidence and social skills, and a promotion for an active and healthy lifestyle. Our senior program has been specifically designed with their busy lifestyle in mind. We understand that school, work, uni and family commitments take u p time and that dancing is still a love and passion that needs to be fulfilled! 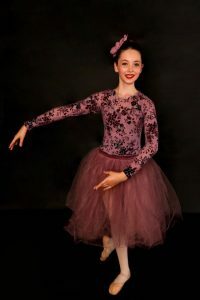 The senior programs are based much the same as our Preteen and Inter programs, with set classes that consist of 3 different genres that compliment one another whilst still allowing students variety within the one lesson and exposure to a diverse range of dance steps, styles, technique and music. The 90 minute lessons allow students to retain their flexibility, range of motion, physical strength and stamina, balance and coordination, technique, skills and terminology already learnt over the years, as well as challenge them to attain new skills and technique from styles that may be unfamiliar to them, offer a new music or rhythm base and an opportunity to enhance their own musicality and natural emotion. We’re offering our Senior students Jazz, Lyrical & Burlesque as well as Jazz, Hip Hop & Contemporary for the 2018 dance season. Lyrical dance is a style of dance created from the fusion of ballet with jazz and contemporary dance techniques and is a “cousin” to those styles. Lyrical dancing is performed to music with lyrics to inspire movements to express strong emotions the choreographer feels from the lyrics in the chosen song. Because lyrical dancing focuses on the expression of strong emotion, the style concentrates more on individual approach and expressiveness than the precision of the dancer’s movements. The emergent lyrical style has a relatively recent history and a genesis based on the coming together of ballet with rock/folk/pop/alternative music and a variety of jazz dance styles and modern dance. Tap is a special form of dance in which dancers wear special shoes equipped with metal taps. In Tap, you use your feet to create rhythmic patterns to music, or sometimes without. Our Mighty Tappers are stand alone classes that are based off the LGTDA (Les Griffith Tap Dancing Association) Syllabus which we teach throughout our studio. These classes are based on the student’s ability to ensure it meets their skills and technical abilities and progression as well as challenging students with its intricate rhythms and combinations. Mighty Bronze Tappers – Is recommended for students with nil or a few years dancing experience. This is where all new students to MJDS or our current students moving up to the Mighty Program will start so that our Tap teachers can assess each student and place them in the appropriate level class. Our Mighty Bronze tappers curriculum is based off LGTDA Bronze Medal, Bronze Star and Bronze Medallion. Students will be able to participate in exams for these if they choose. Mighty Silver Tappers – Is recommended for students that have tap danced for a few years in the mighty level, have a sound knowledge of tap terminology, rhythms and sounds and can execute them confidently with clear beats. Steps students can confidently execute include, but are not limited to the following: 3 Beat Wings on both and one foot, Double Pick-Ups, Single & Double Waltz Time Step, Single Time Step & Break, and Full and Half Rhythm. Our Mighty Silver tappers curriculum is based off LGTDA Silver Medal, Silver Star and Silver Medallion. Mighty Gold Tappers – Is recommended for students who have tap danced for at least 5 years at a Mighty level, have an extensive knowledge of tap terminology, rhythms and sounds and can execute them confidently with clear beats. Steps students can confidently execute include, but are not limited to the following: 4 and 5 beat wings, double and 4th time step & break, Pick-up change, and treble time steps. Our Mighty Gold tappers curriculum is based off LGTDA Gold Medal, Gold Star and Gold Star & Bar and Intermediate. This class is designed for students in our Mighty Program and is ideal for any aspiring dancer! Every student that takes part in this class will notice a dramatic improvement in all dance styles. Our technique and strength class will help tone dancers as well as help them build strength and flexibility. It helps develop and maintain great technique on all basic dance steps including jumps, leaps and turns, as well as students learning and working on how to become more flexible and how to stretch properly and safely and the importance of warming up before exercise and cooling down afterwards. They learn to develop their core strength and how to use their flexibility in the correct way when dancing or performing tricks.